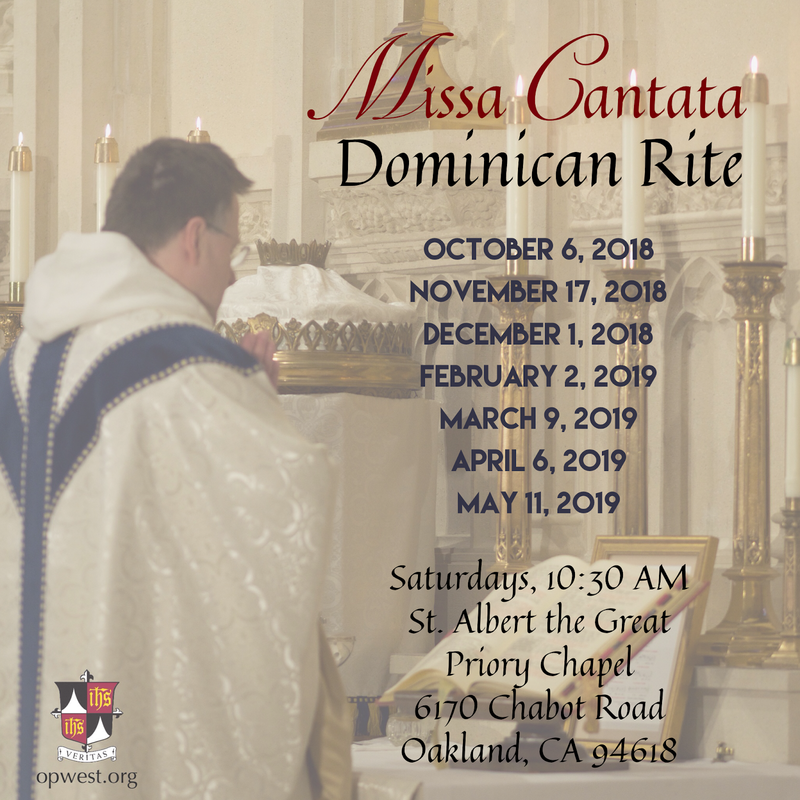 This is a simply a reminder that the first of the Dominican Rite Missae Cantatae celebrating the First Saturdays of the current academic year will be celebrated on October 6, this Saturday, at St. Albert the Great Priory, in Oakland, California, at 10:30 a.m. The celebrant will be Fr. Christopher Wetzel, O.P., who was ordained last June. 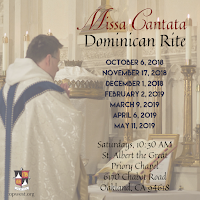 The music and servers will be provided by the student friars of the Western Dominican Province. The St Albert the Great Priory Chapel is located at 6170 Chabot Road in Oakland, with ample parking available on the street or the basketball-court parking lot.